Impress your friends with this mid-century modern style. 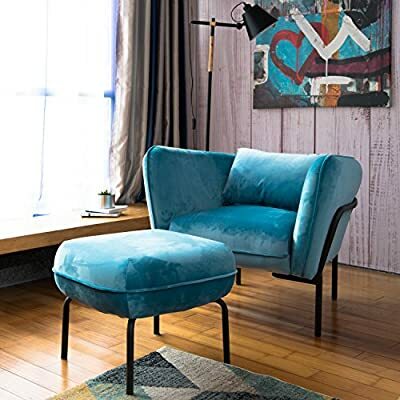 The blocky silhouette of this chair, softened by hand tufting on the back pillow, will look sharp in your living room or anywhere else a fashionable chair is needed. Bucket style chairs with flared arms and flared post legs. Features diamond-tufted Back and Seat. Solid wood frame legs come in a light brown Finish. 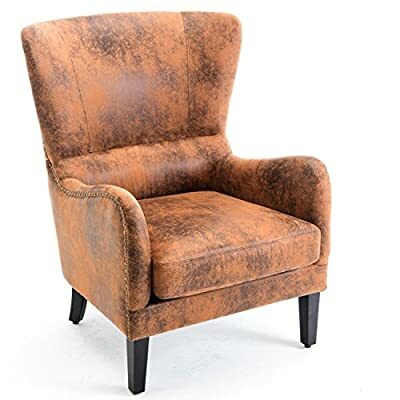 The chair is upholstered in faux Leather and Comes in your choice of gorgeous colors. 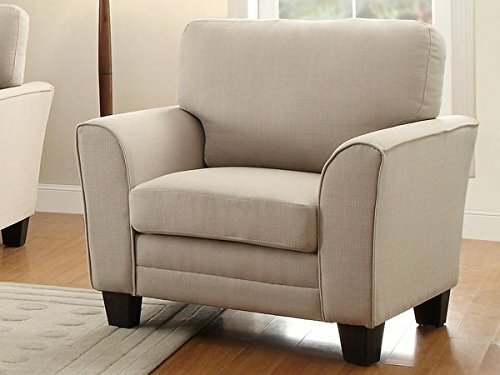 Features hand picked soft linen and microfiber two-tone fabric with a pleated detail on back rest and pin-legs. 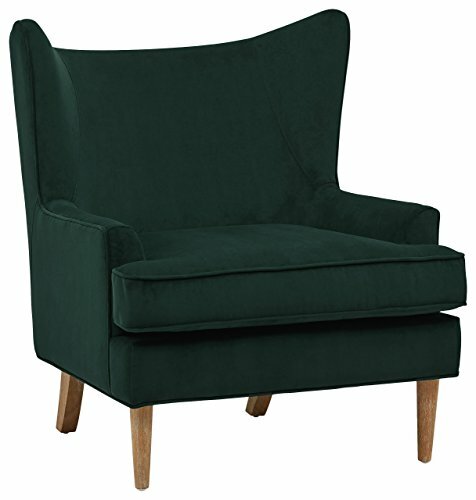 This modern yet classic chair can blend easily with your existing styles. 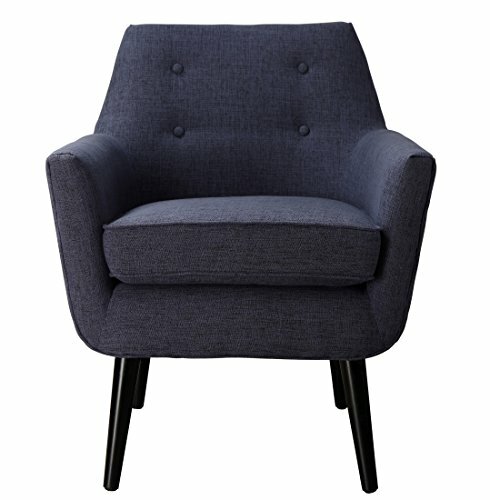 The angular and armless design is compact and can fit in a corner of a living room or bedroom. 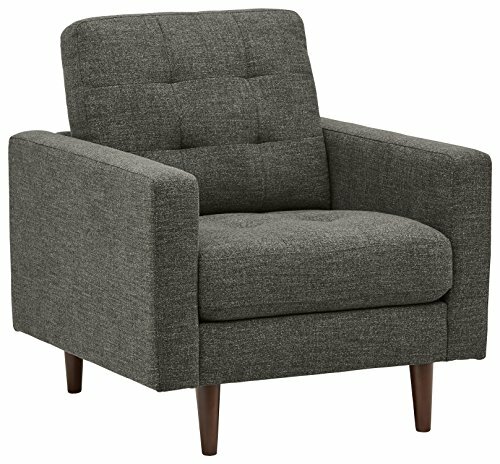 New upgraded swivel accent chair with arms, can spin it 360 degree,it’s easy to install by the following instruction. Overall dimension:23.22″W x 25.6″D x 34.25″H. 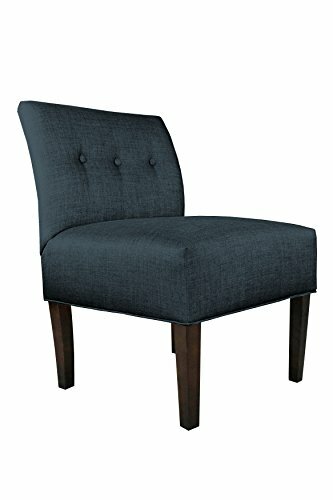 Roomy depth and wide create comfortable seating, great for your living room,dining room,bedroom,office,study or makeup vanity,attractive enough for any room. Comfortable sitting experience,firm and well cushioned,seat area is large enough,like to curl up or sit cross-legged to read ,long conversation or work,comfortable even sit for a long day. 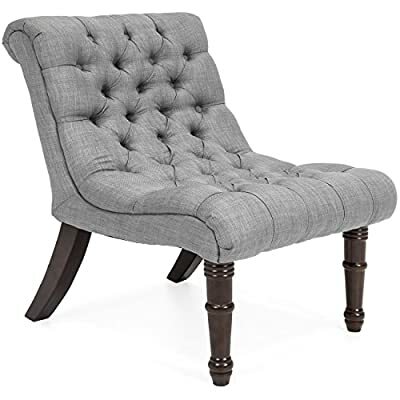 STYLISH HOME DECOR: This lovely club chair will look stunning in your home. 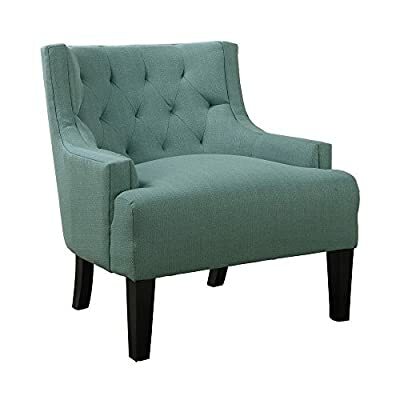 The Roseville Accent Chair complements any furniture set. 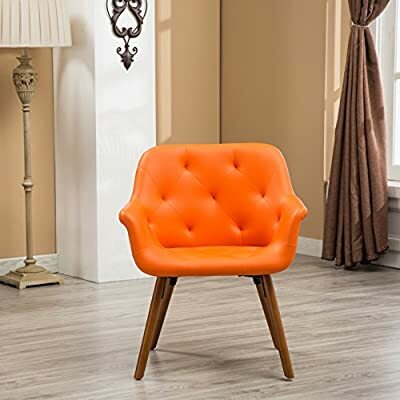 Whether you place it in your living room, bedroom, guest room or den, this chair is sure to be the most eye-catching piece of furniture in the room. 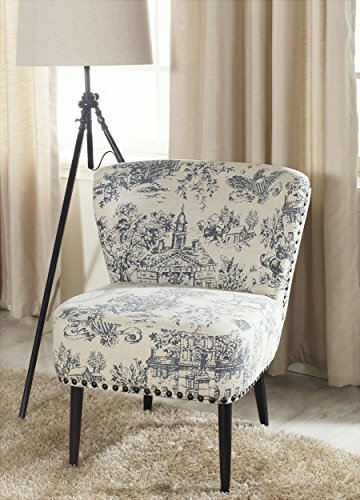 CHARMING AQUA BLUE FLORAL PRINT: Our colorful chair features a floral pattern in varying shades of light turquoise flowers reminiscent of stencil prints. 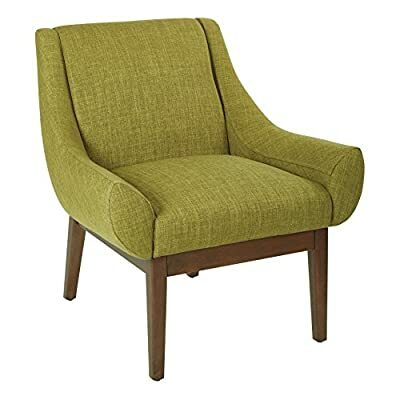 Warm earth tone vines and leaves curl and loop across the chair’s cream colored fabric. 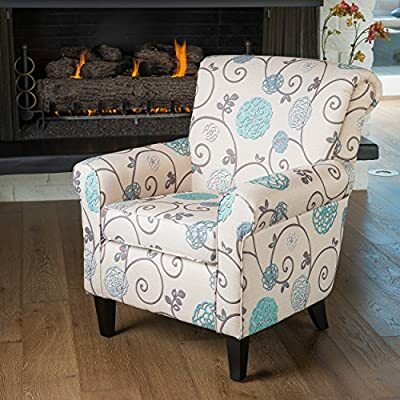 TIMELESS CENTERPIECE: A traditional floral pattern is always in style and the sturdy hardwood frame means you’ll enjoy your armchair for years to come. 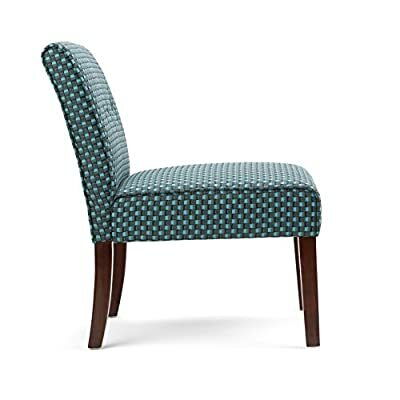 This upholstered chair’s polyester fabric is also easy to clean. Just spot or wipe clean. 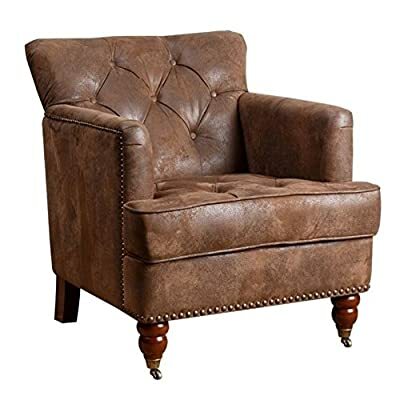 A VERITABLE THRONE: Each Accent Living Room Chair Measures 27″L x 24″W x 35″H and Weighs 21 LBS. Leg Assembly is Required Upon Delivery of Chair. 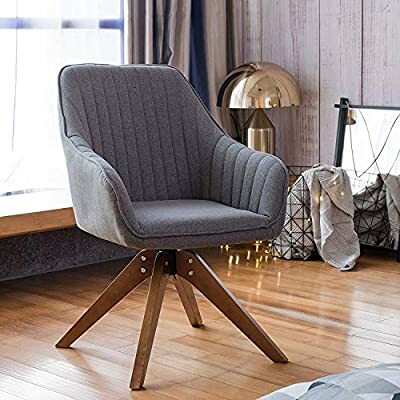 UNYIELDING CONSTRUCTION: These Living Room Chairs are Carefully Constructed of Sturdy and Unyielding Wood, Resulting in a Generous 250 LB Chair Weight Capacity. 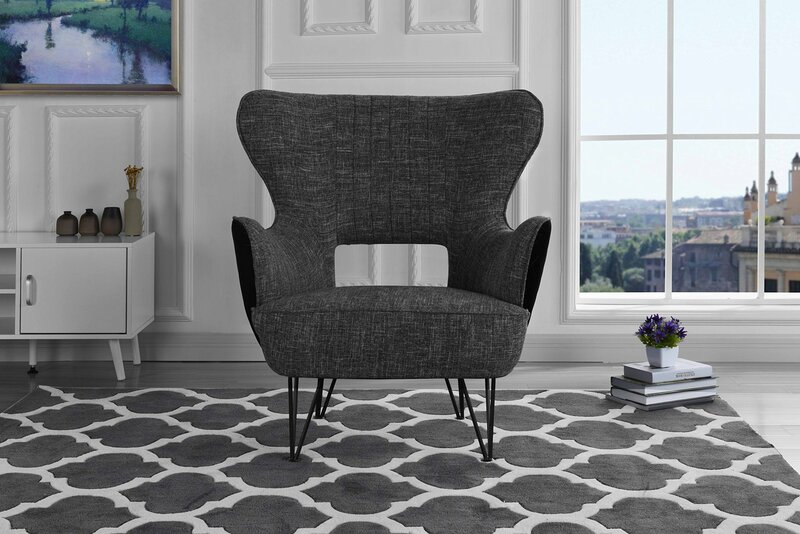 EXQUISITE AND ELEGANT: The Obsession Accent Chair Features an Exquisite Fabric Upholstery of 100% Polyester. 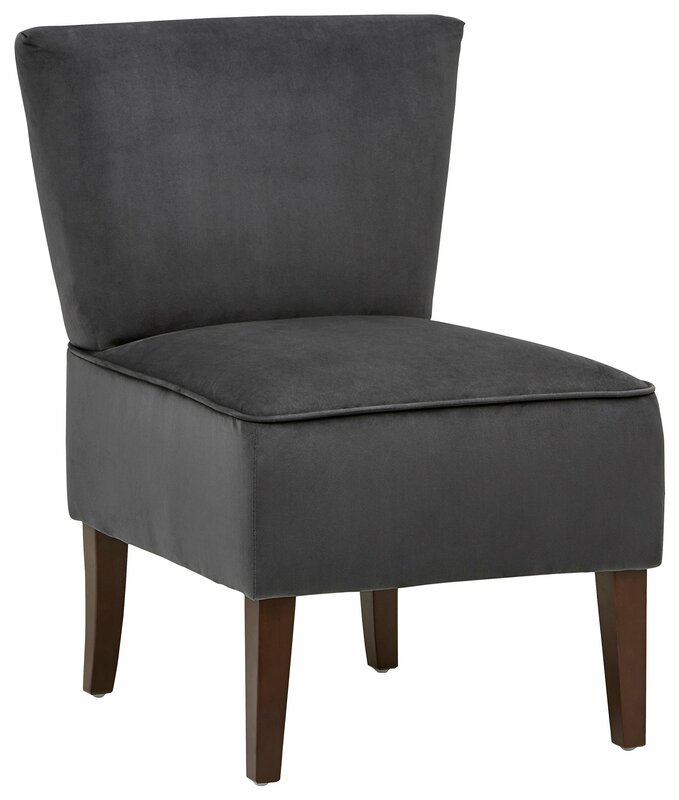 The Chairs are Further Adorned With an Elegant, Button Tufted Back. 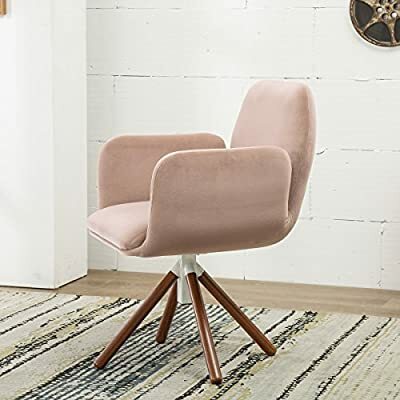 This wing-backed Mid-Century modern chair will be a smart style addition to your home. The rich, velvety look and feel make it cozy while exuding a bold design statement that will turn your friends’ heads. 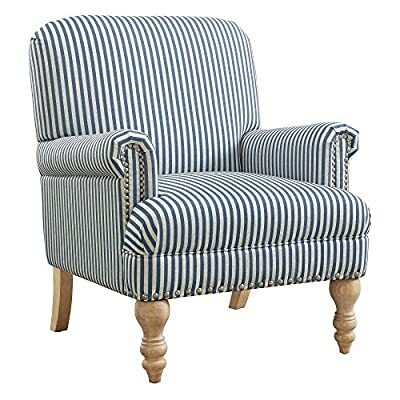 Handcrafted to Perfection: a comfortable and luxurious accent chair with a solid beechwood frame that is perched atop solid wood legs, carefully upholstered in linen and completed with 4 small scale button tufting. 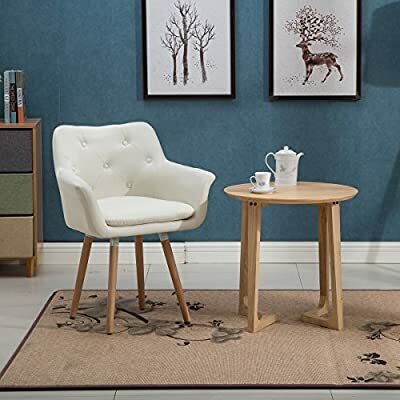 Durable Construction: The sturdy beech wood frame provides a well-built base, solid wood legs for more stable and sturdy, high end fabric cover for more durable. Soft and Comfortable: Spacious and extra thick padded cushion seat and super soft backrest for added comfort and style. 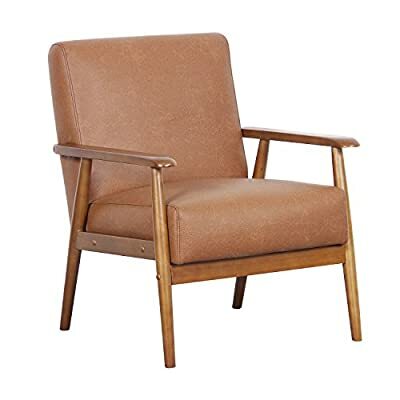 Simply Elegant Style: This mid century accent chair is a great addition to any home or office. 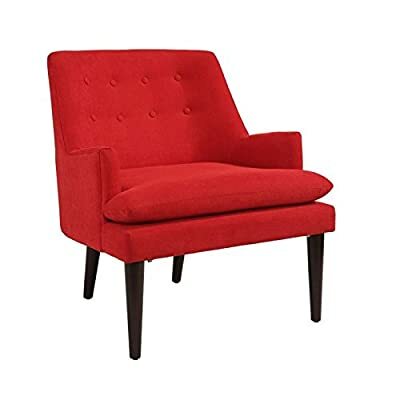 Stylish classic design with 3 colors of this chair can match perfectly with any decor theme. Industria style modern design with curved back. 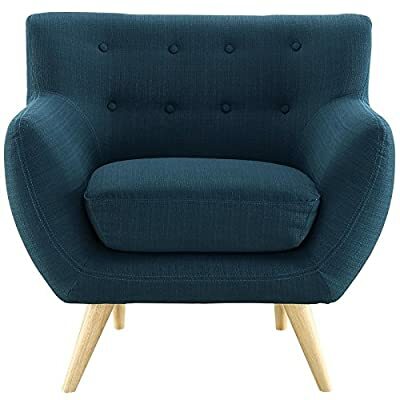 Upholstered in mineral blue velvet fabric. The best 25 degree angle seating and high density spring back sponge create best sit feeling.